When you experience a plumbing emergency, you want to find a company you can trust quickly. The certified professionals at C.A. 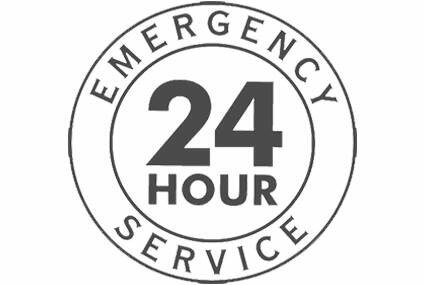 Smith Mechanical Ltd. are available 24 hours a day, seven days a week to help you with your Plumbing & Heating emergency's. We carry a large inventory of Plumbing & Heating supplies such as: Hot Water Heaters, Toilets, Sinks, Tubs, Showers, Faucets, Well Pumps, Water and Sewer Line. Our technicians make it a priority to keep you up-dated with your Plumbing & Heating emergency, so you can be assured that you are dealing with the best in the business. Repairs or Replacement of Hot Water Heaters. Repairs to Hot Water Boilers and Heating Lines. Drain Cleaning & Clearing of Backed Up Sewer Lines. Repairs to Busted, Frozen, or Leaking Pipes. Repairs or Replacement of Plugged or Broken Toilets. Repairs and Installations to Propane Appliances and Propane Gas Lines. As a full-service Plumbing & Heating company, we provide prompt, reliable, and guaranteed workmanship to our residential, commercial and institutional customers.